Tom and I have been saying since Maggie was born: “I can’t wait to take a family ski trip”. 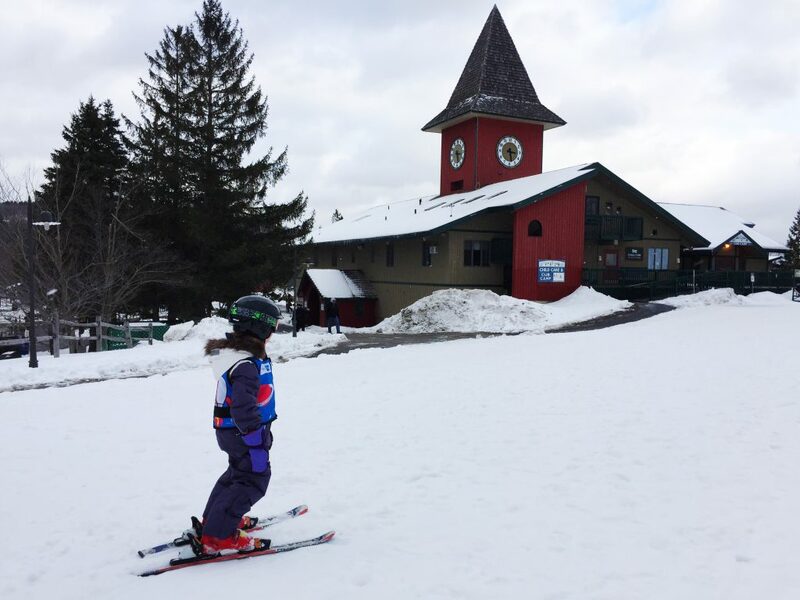 We’ve been lucky enough to go to Vermont with family a few times, but the kids were too small to ski. 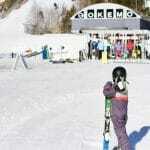 This year we were ready to have Maggie and Alex try ski school and let Tommy try a run or two. 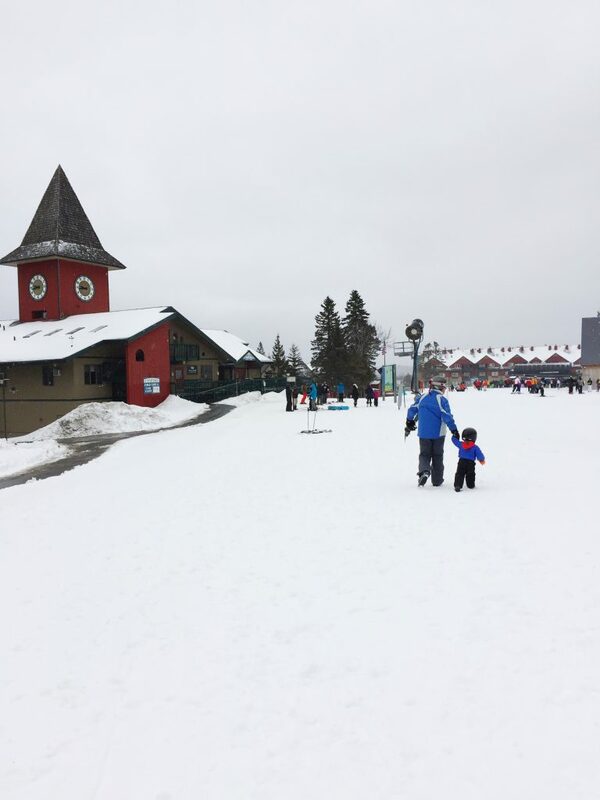 We wanted to find a very family friendly mountain that would have easy access to the mountain and fun things to do on site in addition to skiing. 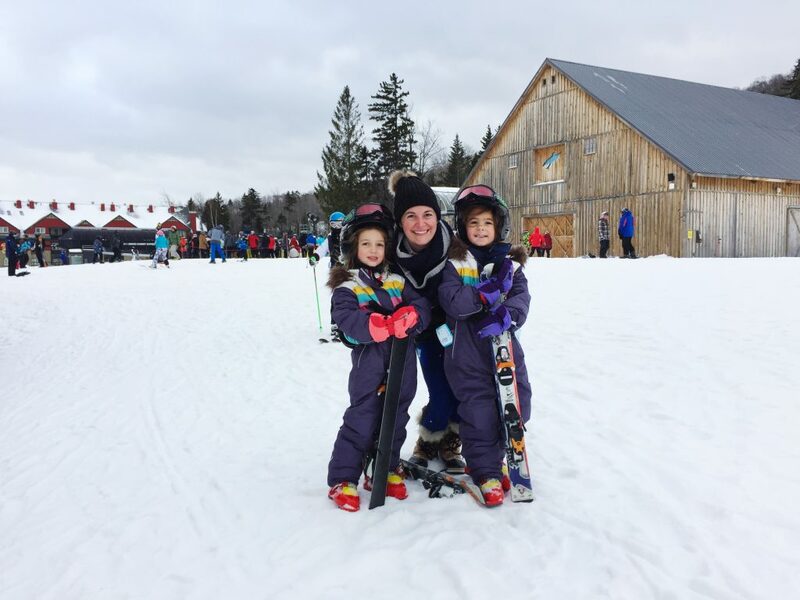 I did a lot of research and we decided on Mount Snow for our first family ski trip. We honestly could not have been happier with how the trip went. The whole family really had fun (even the littlest ones!). The Grand Summit Resort Hotel was awesome! They greeted us, helped with all the luggage and ski gear and parked the car. 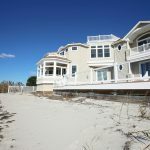 The staff could not have been friendlier or more welcoming to a large family coming in (like a hurricane!). After spending the afternoon in the car, the kids were more than a bit rambunctious when they entered the hotel but instead of stares, we got smiles, which is always a good start to a “family” vacation. The hotel had places to eat, a mini arcade, pool, spa, deli/ coffee shop, laundry room, ski shop and more. 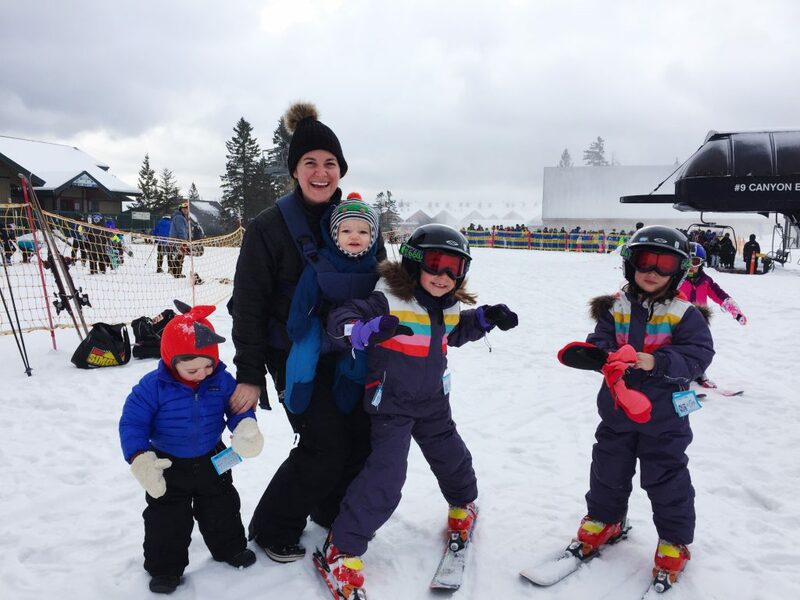 As you can imagine, one of my biggest concerns about a family ski trip was actually getting everyone dressed and ready to ski and then actually getting to the mountain. I am usually in a full sweat after wrangling all of the kids into their snowsuits, boots, etc. The ease of being able to just walk down the hall and out the door to the mountain was HUGE for making this trip successful. We never got in the car and there was no carting gear around. 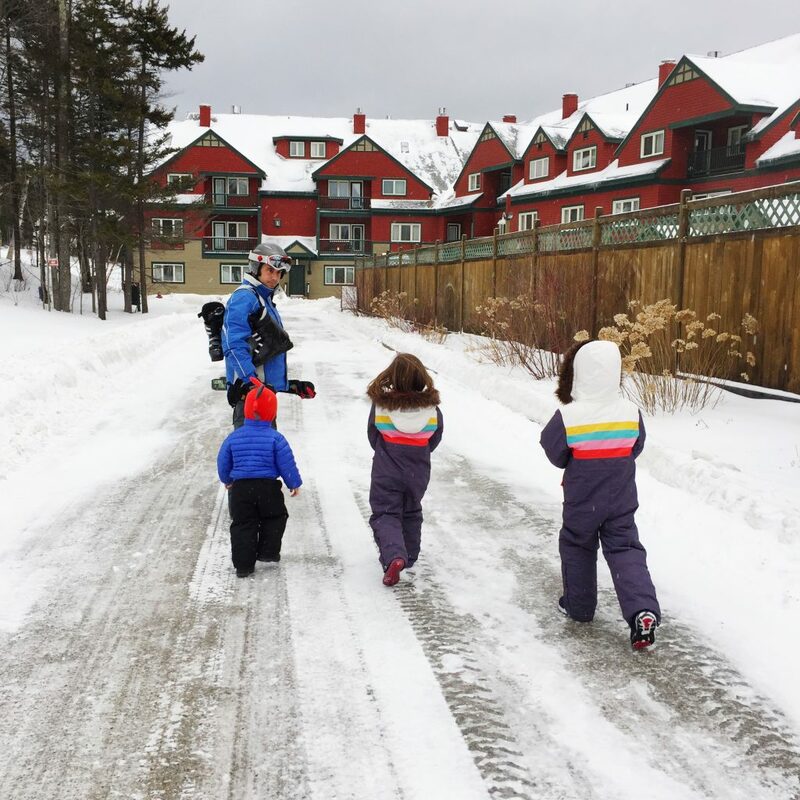 The rooms at the Grant Summit Resort were perfect for families. We had a 1 bedroom suite which was more than enough room for the 6 of us. We had a bedroom that we put one crib in. In the living room, there was a Murphy Bed that pulled down from the wall. This was awesome because we had a ton of space in the living room for everyone to play until it was time to pull the bed down. The girls shared that bed and Tommy was in the other crib next to them. The room also had a full kitchen and kitchen table. The kitchen was stocked with dishes, silverware, dishwasher pods, dish soap etc. This was SO helpful. One night we wanted to try Harriman’s Farm to Table Restaurant but the kids were in no shape to go out to dinner (or at least without making a scene!) so we got take out and ate in the room. It was a lot of fun and a delicious meal. Last, but no least, the closets were amazing. When you go on a ski trip with 6 people there is A LOT in the suitcases. If unorganized clothes, hats and gloves strewn about drives you nutty (like me) then the closets would have made you just as happy as they made me. There were full closet systems including pull out basket drawers, shelving, multiple sized baskets etc. It was my vacation closet dream come true! Before we left, I researched the area and planned out some places to eat with the family. Once we got to the hotel, we never moved our car or tried any of the places I had planned to. There were so many places to eat at Mount Snow and the food was excellent. One night we tried Harriman’s Farm to Table and ate it in the room. Another night we took the kids to 1900 Burger and we were so impressed. The service and the food was awesome. Plus after a day of skiing, we all enjoyed their milkshakes. For breakfast, both days, we went to The Deli at the hotel. The food and coffee were great! We found there were way more dinning options than we were expecting. My kids are still talking about how they “swam outside in a snow storm in the dark”. One night we decided to take the kids to the pool at the hotel. To my surprise, it was an outdoor pool! I had never been in a year round heated pool but it was really neat. It was snowing when we swam which was crazy! 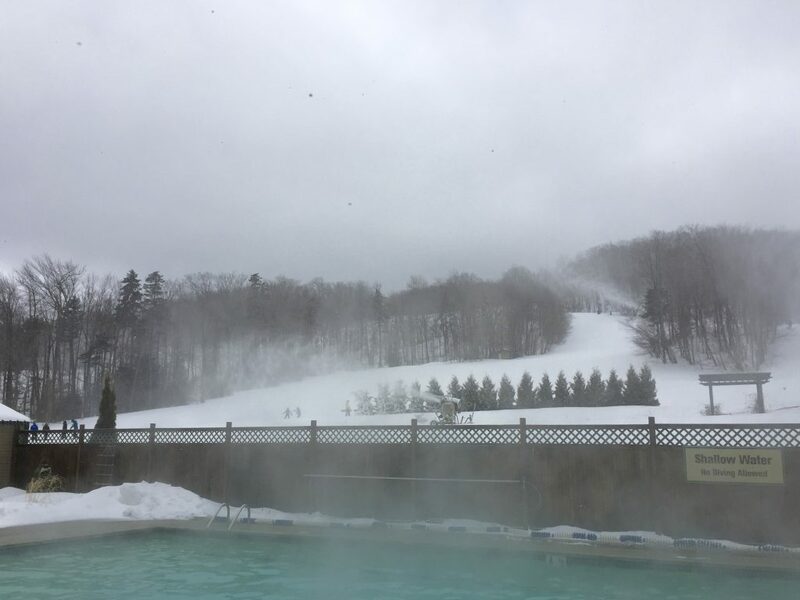 There is a pool and 2 large hot tubs that are open year round. It’s fun, relaxing and you have a beautiful view of the mountain. We wanted to find a mountain that had additional activities just in case the kids didn’t enjoy skiing. 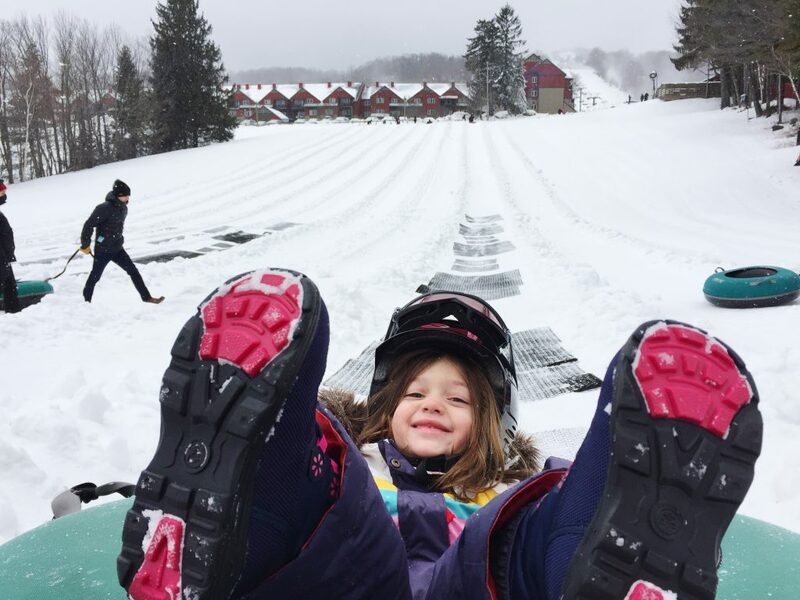 They loved skiing but we still found time to try the Snow Tubing at Mount Snow. It was so much fun! The kids told everyone they had fun “but mommy screamed the whole way down”. The magic carpet that pulled you back up was really wide and easy to navigate with kids and their tubes. 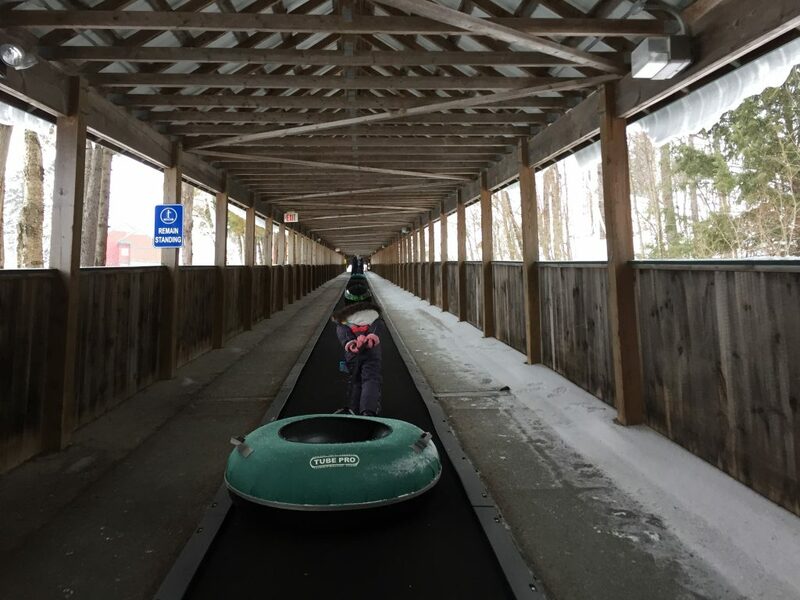 I would highly recommend making time for snow tubing when you are at Mount Snow! The distance to Mount Snow was perfect for our trip. 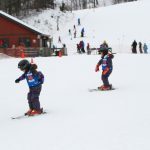 If you are in the New York, New Jersey, Connecticut, Massachusetts area, Mount Snow is just a few hours away. 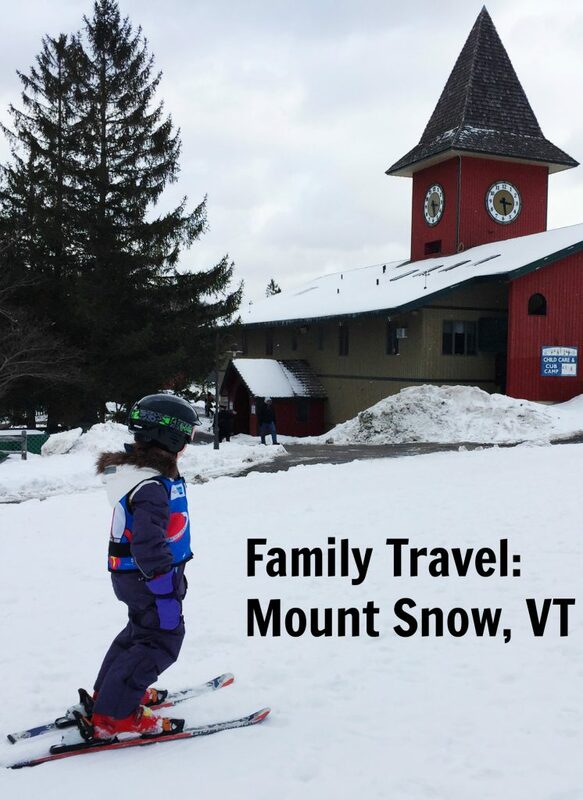 They are “Vermont’s closest big mountain” which makes it really convenient for families. For us, we didn’t want to have to fly or drive hours and hours away for our first ski trip. Mount Snow was just the right distance and a place we will now visit again for sure. I was a little nervous taking a baby and a toddler on a ski trip. We considered leaving them with a family member, but Tommy loves the snow and kept asking to “ice ski” with his sisters. Plus, is was days before Miles’ 1st birthday, so I felt bad leaving him behind. 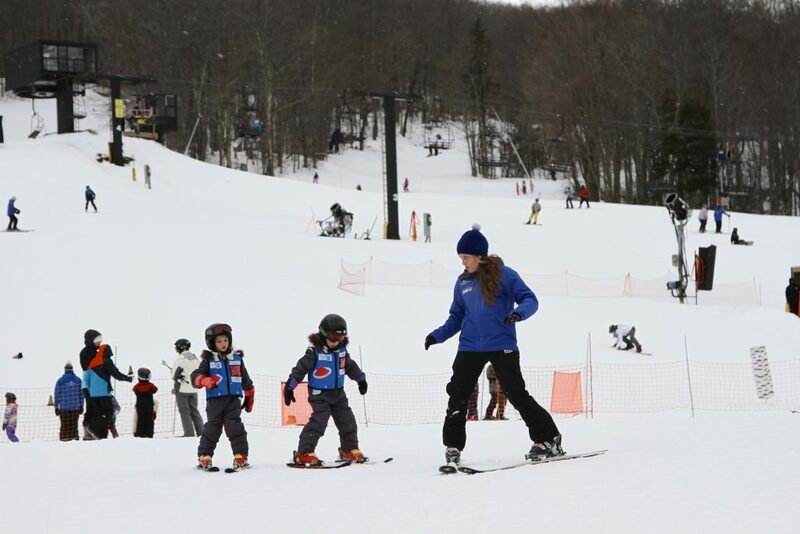 Mount Snow was perfect for all ages. 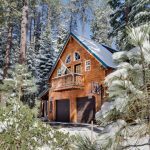 The accommodations made it comfortable and there was plenty of space to just play in the snow. There were also plenty of paths to push a stroller around with ease. Tommy even tried skiing with Tom! I am really glad we decided to bring everyone. 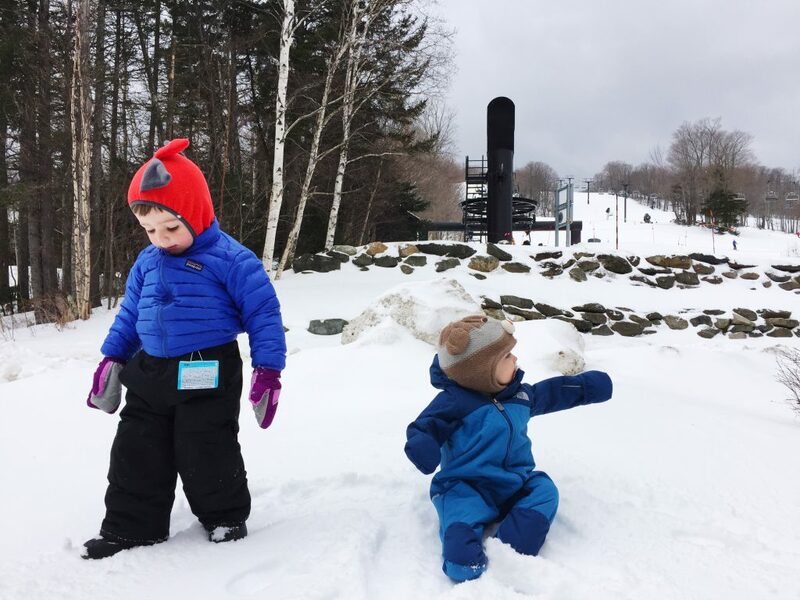 Mount Snow was a beautiful scenic place for a family getaway. 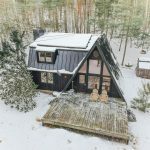 We love where we live but sometimes it’s really nice to escape to somewhere so peaceful and beautiful like the mountains. It was so nice to wake up in the morning to such a lovely view. 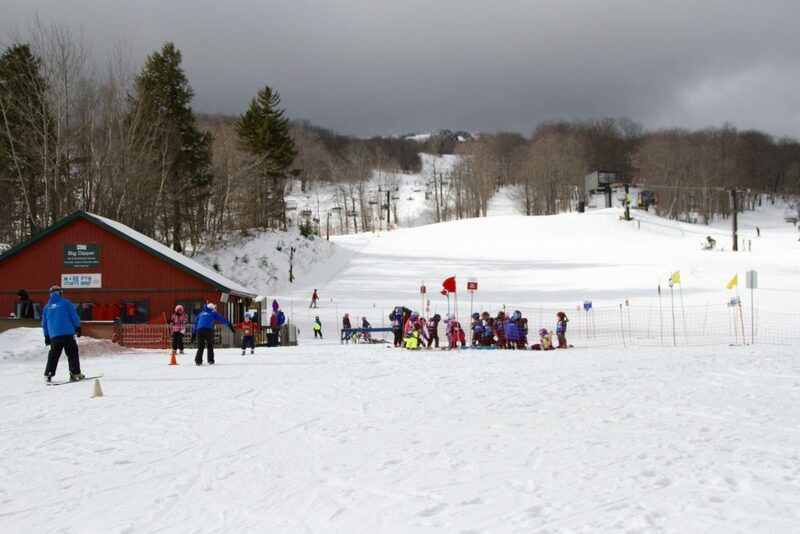 Overall, we had a wonderful trip to Mount Snow, Vermont. I would highly recommend it for families. If you have any questions, please feel free to reach out via email! Disclosure: We were not compensated for this post. 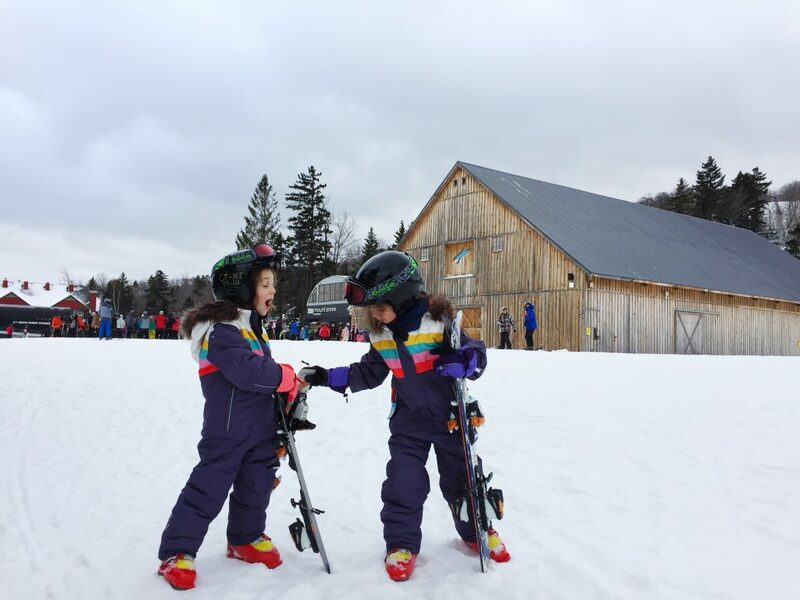 We were invited to enjoy Mount Snow for the purpose of review. As always, all opinions are our own.